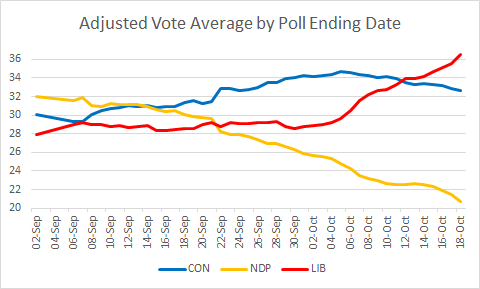 Angus Reid has published its second poll of the campaign, and it is nothing short of a disaster for the Liberals. 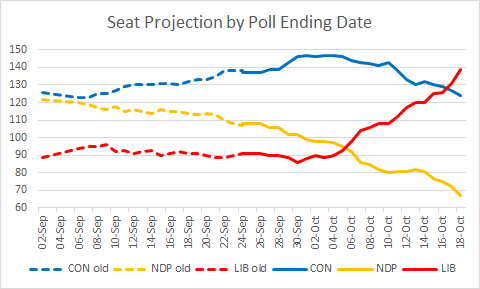 The 27% national number is OK, considering that last time, Angus Reid had the Liberals at just 24%, several points lower than other pollsters. The problem is Ontario: this poll has the Tories at 40% there, against just 28% for the Liberals. 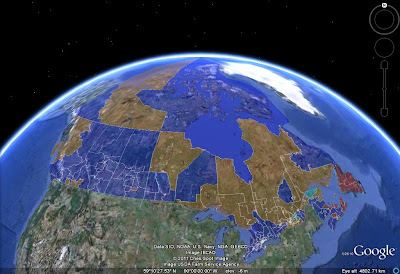 If that were to bear out on election night, the Liberals would be looking at fewer seats than in 2008. The Tories would be just 15 seats or so short of a majority despite being at only 34% nationally. The Liberal vote is extremely inefficient, and this puts them 20 seats behind the NDP despite being 2% ahead in the vote.